Sydney, Rock and Reef is the ideal embodiment of Australia’s most unique and spectacular sights. The Sydney Opera House and Harbour Bridge highlight this internationally agreed upon premier city. 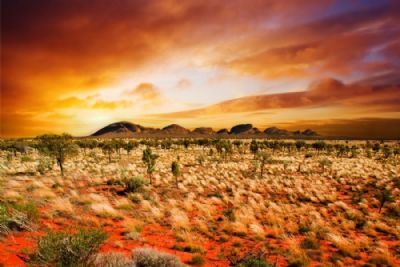 Next, journey into the Outback to find Uluru – the sacred monolith of the local Aboriginals, rich in geological and cultural significance for this desert land. If you’re feeling a little parched, water is on the way! Cairns, your final destination, is an aquatic heaven and home to the Great Barrier Reef and the Daintree Rainforest. Fill up on this all-you-can-eat, scenic buffet! Ayers Rock is located in Northern Australia near Alice Springs. The large red ‘rock’ is noted to be the largest monolith in the World.